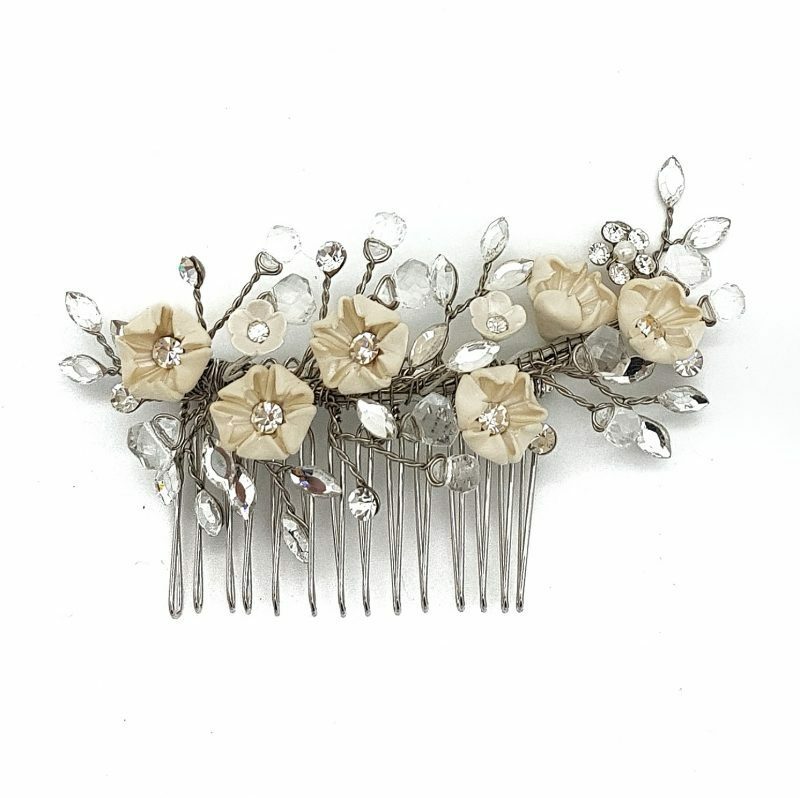 This stunning ivory pearl blossom comb pays homage to the delicate floral pieces of the 20’s and 30’s. 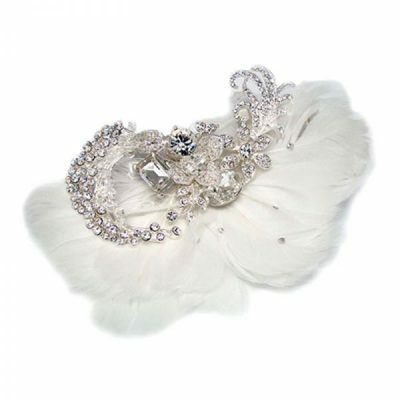 It features gorgeous crystal detailing even down to the flower centres. A truly special piece. 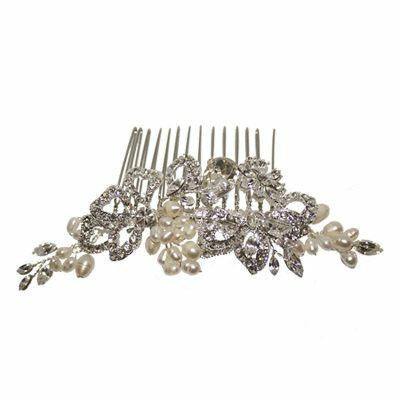 Also available is a large ‘Marsha’ hair comb with matching ‘Marshana’ earrings, ‘Marshana’ Necklace, and ‘Marshana’ Bracelet. 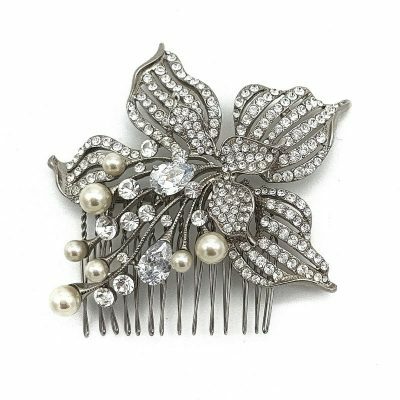 Co-ordinate this gorgeous collection as you desire.